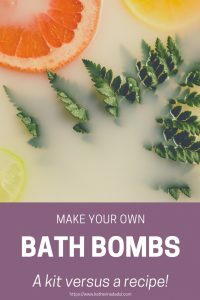 Did you know it’s quite easy to make bath bombs? 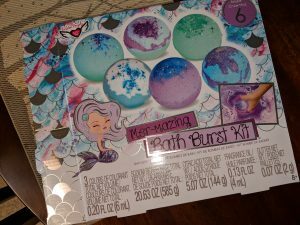 There are tons of kits available with pre-mixed ingredients and lots of helpful articles on the internet too. 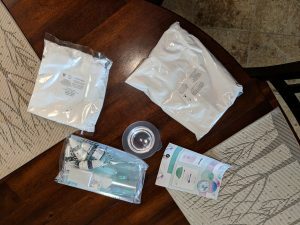 I often used to wonder if there was a difference between using a kit and making some from scratch, so this week, I decided to compare the two! So if you’ve ever sat there and wondered that question yourself, read on, because I got the details of my comparison! 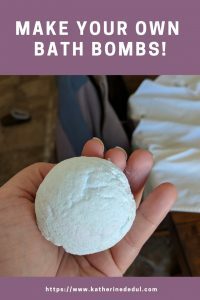 Bath bombs are those awesome fizzy things you drop into the tub to enjoy. They typically have some lovely benefits to your skin to soften things up and can hydrate your skin as well. 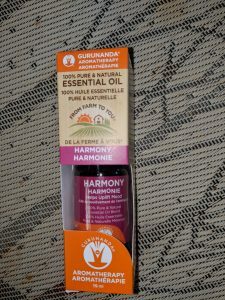 I use them for their scent, usually to relax me, but sometimes to energize me when I feel like I need a little extra kick. Check out the original from DIY Projects for Teens! You’re stuck with what comes in the kit. 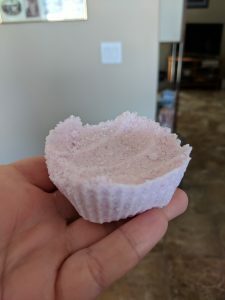 So my bath bombs are all strawberry scented (not a complaint, just stating that my kit didn’t come with scent options!). Overall the instructions were easy to follow and the results were pretty good. 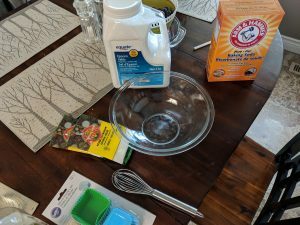 I found the gloves included were just too big, so I tossed them at some point, but if you find the citric acid is irritating your skin, you may want to look into getting some gloves you can use. The kit I got made about six (and would have, but I was a bit heavy handed with one batch, and so I was left with four). You begin by mixing the dry and wet ingredients separately. 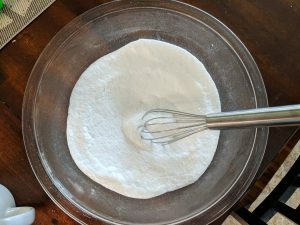 A whisk is very helpful here to break up clumps. You have a similar process ahead of you, but much more control on the amounts of everything and the scent! 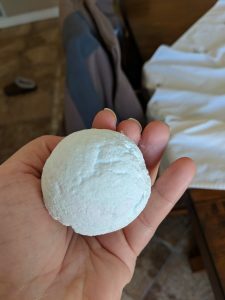 I was a bit hesitant to add too much food coloring (I’d heard from a few forums out there on the internet that they can sometimes stain your skin or your bathtub), so I kept it very light (about four drops). If you are super concerned, I’d recommend sourcing some biodegradable glitter or use dried flowers to create an added punch to your bombs. 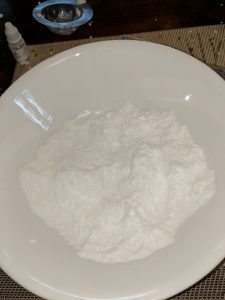 Once you’ve mixed your dry ingredients and wet ingredients separately, you have to SLOWLY add the wet ingredients to the dry. 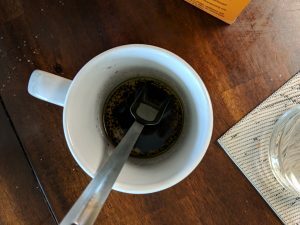 I just used my teaspoon measure to spoon it in and the whisk to mix it in. It foamed a little bit, which is okay. Eventually, you’ll work it into a mixture that is JUST barely sticking together. Once everything is combined, you press the mixture into your chosen mold. 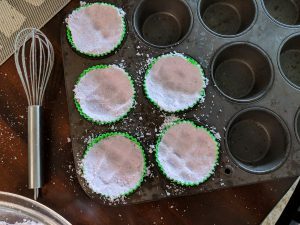 I used silicone cupcake molds and put them in a cupcake tin for a bit of stability. I let it dry for one day. Ultimately the kit saves you some time as it has everything pre-measured. 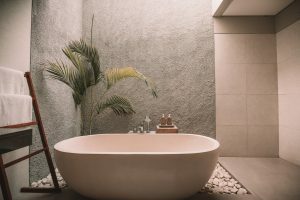 However, if you have worries about ingredients and want to have better control over what is going into something that will ultimately be coming in contact with your skin, making your own is what I’d recommend you do. I will probably seek to make my own from here on out. The pre-made ones in stores like the Body Shop and Lush are pretty pricy when you compare the cost of the ingredients. 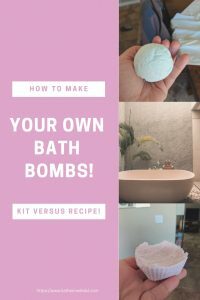 So I hope this has given you some food for thought and inspired you to give bath bombs a try! If you liked this content, please do share it with your network and comment down below as I’ve love to hear from you. Secondly, if you’d like my free printable checklist on how to plan and finish crafting projects, go ahead and drop your email down below! Next week, I will be switching gears a little bit into the writing craft and offering some information about character building and why you need to do that in fiction! Until then, stay crafty my friends!